This partnership aims to blend premium, luxury and sports eyewear with wearable smart technology, thus producing fashionable smartglasses. Most smartglasses and other similar wearables may offer a lot in terms of features, but they lack in the design department. While fashionable smartglasses can be already purchased, none of them comes from an alliance as strong as the one formed by Intel and Luxottica. These two giants announced earlier today "a multiyear R&D collaboration to fuse premium, luxury and sports eyewear with smart technology." According to the official press release, "This strategic alliance will push the boundaries of research and development to anticipate what smart technology for eyewear will look like in the future." The main goal is to produce "fashion-forward products that are meaningful and desirable to consumers." It is also worth reminding that Luxottica announced a partnership with Google back in March 2014. Luxottica is widely known for the Ray-Ban, Oakley, and Persol brands. 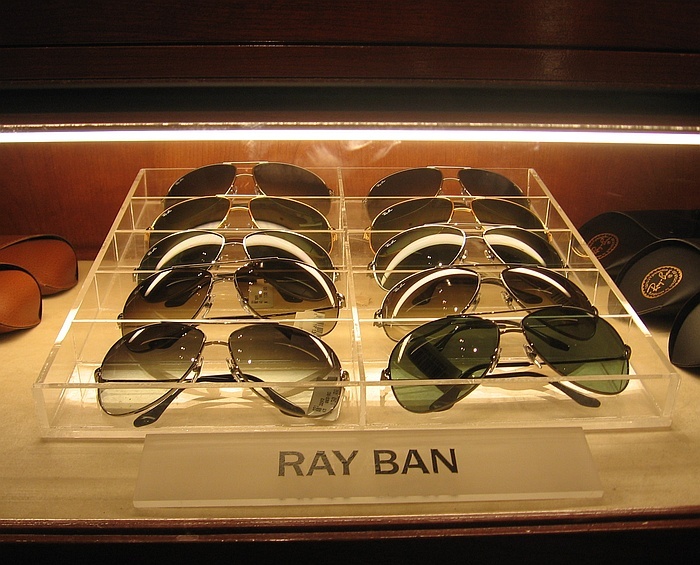 They also make sunglasses branded Versace, Giorgio Armani, Dolce & Gabbana, Burberry, and more. The company currently controls more than 80 percent of the major eyewear brands in the world. The first Intel-Luxottica product is expected to arrive as soon as 2015. Unfortunately, there are no details about it available yet. "The growth of wearable technology is creating a new playing field for innovation," said Intel CEO Brian Krzanich. "Through our collaboration with Luxottica Group, we will unite our respective ecosystems and bring together Intel's leading-edge silicon and software technology with Luxottica's design innovation and consumer expertise. We expect the combination of our expertise to help drive a much faster pace of innovation and push the envelope of what's possible." Intel (NASDAQ: INTC) is a world leader in computing innovation. The company designs and builds the essential technologies that serve as the foundation for the world's computing devices. As a leader in corporate responsibility and sustainability, Intel also manufactures the world's first commercially available "conflict-free" microprocessors. Additional information about Intel is available at newsroom.intel.com and blogs.intel.comand about Intel's conflict-free efforts at conflictfree.intel.com. Luxottica Group (MTA: LUX; NYSE: LUX) is a leader in premium, luxury and sports eyewear with over 7,000 optical and sun retail stores in North America, Asia-Pacific, China, South Africa, Latin America and Europe, and a strong, well-balanced brand portfolio. 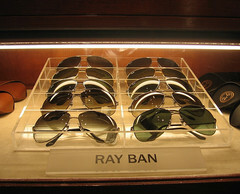 House brands include Ray-Ban, the world's most famous sun eyewear brand, Oakley, Vogue Eyewear, Persol, Oliver Peoples, Alain Mikli and Arnette, while licensed brands include Giorgio Armani, Bulgari, Burberry, Chanel, Coach, Dolce & Gabbana, Donna Karan, Polo Ralph Lauren, Prada, Michael Kors, Starck Eyes, Tiffany and Versace. In addition to a global wholesale network involving 130 different countries, the Group manages leading retail chains in major markets, including LensCrafters, Pearle Vision and ILORI in North America, OPSM and Laubman & Pank in Asia-Pacific, LensCrafters in China, GMO in Latin America and Sunglass Hut worldwide. The Group's products are designed and manufactured at its six manufacturing plants in Italy, three wholly owned plants in the People's Republic of China, one plant in Brazil and one plant in the United States devoted to the production of sports eyewear. In 2013, Luxottica Group posted net sales of more than Euro 7.3 billion. Additional information on the Group is available at http://www.luxottica.com.